Credit to Yale School of Forestry & Environmental Studies, view full article HERE. The world is using nitrogen fertilizer less and less efficiently and more than ever before is washing into rivers and oceans. An environmental catastrophe loom and the world needs to develop strategies to prevent it. 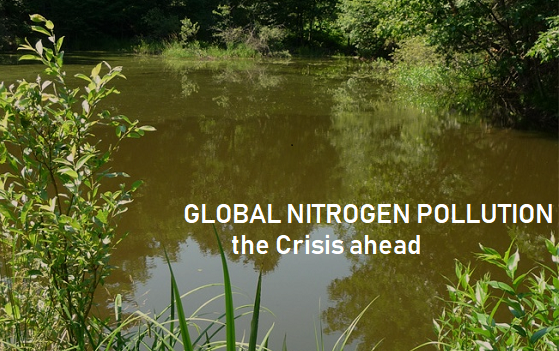 The bottom line: we must halve the nitrogen we dump into the environment by mid-century or our ecosystems will face epidemics of toxic tides, lifeless rivers, and dead oceans. That will require, among other things, almost doubling the efficiency of nitrogen use on the world’s farms. In the past half-century, humans have increased the amount of nitrogen in the environment more than any other major element. Sewage, livestock waste, fossil-fuel burning, and especially our use of synthetic fertilizer have all contributed to a doubling of nitrogen flows. Half the world’s crops today are grown with the aid of fertilizer made by capturing inert nitrogen from the air. Earth system scientists say nitrogen is the major factor in biogeochemical pollution, one of four “planetary boundaries” that we have exceeded, risking “irreversible and abrupt environmental change.” The world is attempting to address the other three: climate change, deforestation, and biodiversity loss. But nitrogen pollution is a largely ignored environmental story, with no international agreement or agency to galvanize action. Agriculture is responsible for about two-thirds of global nitrogen pollution and its fallout is all around us. Algal blooms in rivers from the Ohio to the Klamath in California; poisoned underground water reserves in California; fish gasping for oxygen in Chesapeake Bay; and toxic “red tides” off the shores of Florida. The Gulf of Mexico has a regular “dead zone,” where excess nitrogen stimulates so much aquatic plant growth that its eventual rotting consumes all the available oxygen, suffocating most other marine life. The zone arises from nitrogen pouring down the Mississippi from the grain fields of the Midwest. It typically extends each summer for 5,300 square miles. Last summer’s reached 8,800 square miles, the largest ever. All told there are more than 400 dead zones in the world’s oceans, covering an area four times as great as in 1950. The largest, in the partially enclosed Baltic Sea in Europe, often covers more than 20,000 square miles. The largest cause of this ecological mayhem is the 120 million tons of synthetic nitrogen used globally in agriculture each year. 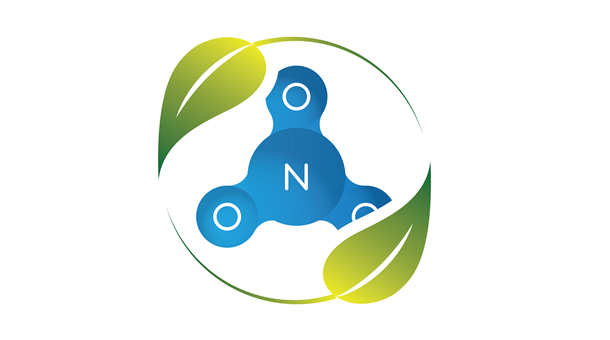 That is twice the amount of nitrogen reaching fields from organic sources such as animal manure, crop waste, and leguminous plants that fix their own nitrogen. But the most shocking statistic is that less and less of the nitrogen poured onto fields is being incorporated into crops; more than half is washing from fields into rivers. The nitrogen-use efficiency (NUE) of the world’s farmers has slipped from more than 50 percent in 1961 to about 42 percent today, according to Xin Zhang, an environmental scientist at the University of Maryland. While most of the world’s natural resources are being used with increasing efficiency, fertilizer is being used with evermore abandon. As a result, more than half of all the synthetic fertilizer ever produced has been applied to farmland in the past 30 years. Asian countries are doing the worst. In India, where fertilizer application has doubled in 20 years, NUE has slipped from 40 percent to 30 percent, Zhang said. But the absolute worst case is China, which has gone from an average NUE of more than 60 percent in 1961 to just 25 percent today. This compares with modest efficiency improvements seen in many developed nations, including the U.S., which is at 68 percent. Half a century ago, China’s NUE was similar to that of the U.S; now it is little more than a third as good. 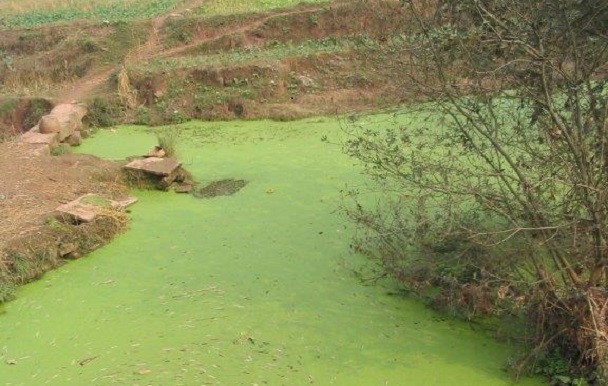 Chinese ecosystems are under siege as a result. Nitrogen kills fish in huge numbers from the Yellow River in the north to the Pearl River in the south. Algal blooms are reported in a third of the country’s lakes. Massive “red tides” of toxic algae spread from river estuaries across the East China Sea. There are two main reasons for the dramatic decline in NUE in Asia: cheap fertilizer prices and the genetic makeup of the “green revolution” crops developed half a century ago to feed fast-rising populations in a hungry world. In the mid-20th century, plant breeders, such as Nobel Prize winner Norman Borlaug, produced varieties of grain crops such as corn and rice that responded exceptionally well to additional fertilizer. To grow more, farmers simply have to pour on more fertilizer. At high applications, there is a law of diminishing returns. Extra nitrogen has a diminishing effect on yield. Farmers make a judgment about how much more is worth pouring on — usually based on economic rather than ecological reasons. When fertilizer is cheap, it makes sense to keep on pouring. As a consequence, Chinese farmers typically put twice as much nitrogen onto their fields as their European counterparts. The scariest result from Zhang’s analysis is the prospect of Africa following the path taken by China. At present, most African farmers apply only small amounts of fertilizer. Supplies are sporadic and many farmers poor. As a result, Africa’s average grain yields are not much more than one ton per hectare, compared to three tons in most of Asia and seven tons in Europe and North America. But what fertilizer African farmers do use is readily taken up by nutrient-starved crops. So Africa’s average NUE is currently the highest in the world, at 72 percent. But as it tries to grow more to feed itself — the African green revolution called for by everyone from the World Bank to the Gates Foundation — the law of diminishing returns will kick in here too. In future decades, we can expect a rapid rise in the amount of fertilizer run-off across the continent, says Zhang. Her data show what economists call the environmental Kuznets curve. The Russian-American, Nobel Prize-winning economist Simon Kuznets argued that as countries industrialize and grow wealthy, the efficiency with which they use natural resources shows a common pattern. They begin with terrible resource efficiency, but gradually they invest in doing things better. Eventually efficiency gains exceed rising demand for the products. At that point, economies can start to “dematerialize,” as Rockefeller University futurologist Jesse Ausubel has put it. In most rich countries, use of agricultural nitrogen shows this curve. The NUE of American and European farms deteriorated until around 1970, as farmers poured on more fertilizer. But after that, it began to improve. Since 2001, the U.S. has been getting higher yields despite putting on less fertilizer, says Zhang. But in developing countries, there is so far little sign of similar tipping points. With heavily subsidized fertilizer prices in countries like China and India, there are no incentives for farmers to use less. That is why so many nations are stuck on the wrong side of the Kuznets curve, says Zhang. So what to do? The world could cut nitrogen losses simply by rearranging where crops are grown. Ecologist Nathaniel Mueller, of Harvard University, reported recently that the world emits 69 percent more nitrogen from fields than it would if crops were grown with optimum nitrogen-use efficiency. But such a global rearrangement of crops sounds unlikely. So how can we reconcile feeding a world of 9 billion people by mid-century with slaying the nitrogen dragon? Zhang suggests the world should aim to reduce nitrogen runoff from crop fields from the current roughly 100 million tons to 50 million tons by 2050. That, she says, will likely require raising average agricultural NUE from the current 42 percent to about 70 percent. To achieve that might involve getting Europe and North America to 75 percent, and China and the rest of Asia to 60 percent, while finding ways to keep Africa from dropping below 70 percent. How to achieve that is the big question. Economics suggests that a big hike in the price of fertilizer would help, by discouraging over-fertilizing when the yield benefits are marginal. A better way is needed. Perhaps technical solutions? Plant breeders may come up with high-yielding grains that fix their own nitrogen from the air. But, with or without such a boon, the smart money now is on finding better ways to make sure fertilizer is only applied when and where it will actually get to plant roots. Low-tech ideas include fertilizer granules that can be planted in soils close to plant roots. This is labor-intensive, but is already being tried in Bangladesh. A high-tech approach would involve what is becoming known as precision agriculture. 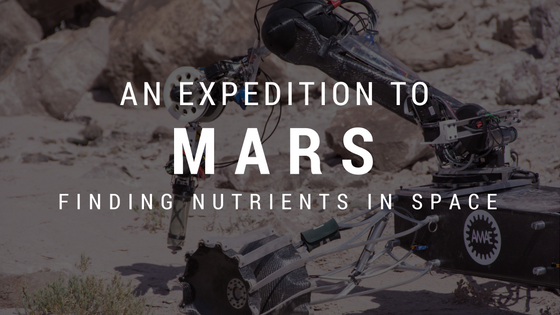 This involves using algorithms that analyze plant health and local soil and climate conditions to provide a bespoke program for the amount and timing of fertilizer applications, which are then carried out with pinpoint accuracy, often using GPS-guided equipment. Fixing the fertilizer failings of modern farming is only part of the solution to the nitrogen problem, of course. When it produces its final report in late 2021, the International Nitrogen Management System is also likely to push for global efforts to recycle livestock manure, to turn more treated human sewage into fertilizer, to reduce food waste, and even to encourage changes to our diets. But the bottom line is that the scandalously inefficient use of nitrogen fertilizer has to be tackled head on. Should every nation be given a nitrogen use efficiency target? Or should the world agree to adopt a target of halving nitrogen waste by 2050? Even that might not bring total emissions below the planetary boundary for nitrogen. But it might avoid the worst.